Recommended if you like to keep your lashes always full. This includes eyelash tinting to make your lashes appear darker. Ideal for anyone wanting to enhance the look of their eyebrows. Adds definition to your bottom lashes. These are made from a polished, synthetic material and are the firmest/sturdiest of all. They are meant to mimic real mink lashes without animal cruelty or the worry of allergic reactions to animal fur. In appearance, they are a little shinier or glossier. When applied, they are quite thick and dramatic. They come in a wide variety of thicknesses and curls, and can be applied to look very natural or dramatic. They hold their curl extremely well due to their firmness. This is NOT a full appointment and is only recommended if it is 7-10 days post your previous appointment. A regular fill is recommended if you like to keep your lashes always full and come often, this girl will have about half of their former lashes still hanging on. If your lashes tend to last longer, you want to book this extended appointment to leave enough time to remove the grown out lashes and really fill your lashes so they will last longer. *Anything after 6 weeks will be considered a full set. These lashes have a deep, rich black finish. Instead of being perfectly round, ellipse lashes are more flat to give a thicker look to the extension without adding additional weight. Ellipse lashes also have a wider and fitted bonding surface area to hug the natural lash better for ultimate hold. The technique of incorporating multiple eyelash extensions to a single natural eyelash throughout the design to create depth, volume and texture. Each volume lash weighs significantly less than the traditional or ellipse lash, so the total weight of 2-6 lashes will be the same weight or less than a traditional lash extension. Volume lashes are most popular with ladies wanting a more dramatic and made-up look while keeping a soft fluffy appearance. Want the best of both worlds? Hybrid eyelash extensions are a combination of both ellipse and volume lashes. Hybrid eyelash extensions have a variety of benefits that you cannot achieve with classic one-to-one extensions. If your natural lashes lack fullness, this set can fill in the empty spaces. Mega Volume is a highly skilled technique that is an advanced upgrade from Russian Volume. These lashes are super fine, light weight, and delicate. (8-15D) fans are applied to each natural lash to give you the maximum darkest and fullest effect. . This look is preferred for the client who wants that extra drama. A regular fill is recommended if you like to keep your lashes full and come often, this girl will have about half of their former lashes still hanging on. If we can perm our hair, why not our eyelashes? We offer a high quality lash lift formula (eyelash perm), which gives your lashes the perfect curl, lift and is designed to help the eyelash wave last longer and save time in using a curling tool everyday. Our formula is designed to make your eyes appear brighter, lifted and glamorous all the time. 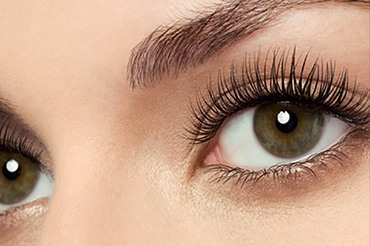 A lash lift lasts up to 2 months. No more lash heaters or curlers. All prices are subject to 13% HST. Give your lashes a lift with our advanced lash lift formula. If we can perm our hair, why not our eyelashes? We offer a high quality lash lift formula (eyelash perm), which gives your lashes the perfect curl, lift and is designed to help the eyelash wave last longer and save time in using a curling tool everyday. 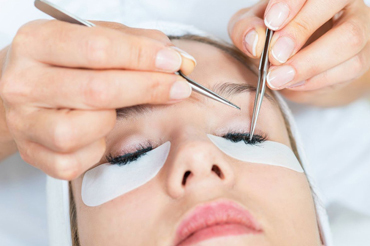 This service also includes eyelash tinting to make your lashes appear darker. Our formula is designed to make your eyes appear brighter, lifted and glamorous all the time. A lash lift lasts up to 2 months. No more lash heaters or curlers. All prices are subject to 13% HST. Time to take a break? Removal only takes 30 minutes. All prices are subject to 13% HST. Ready for a break? If you had your extensions put on from salon the removal process could take longer. All prices are subject to 13% HST. 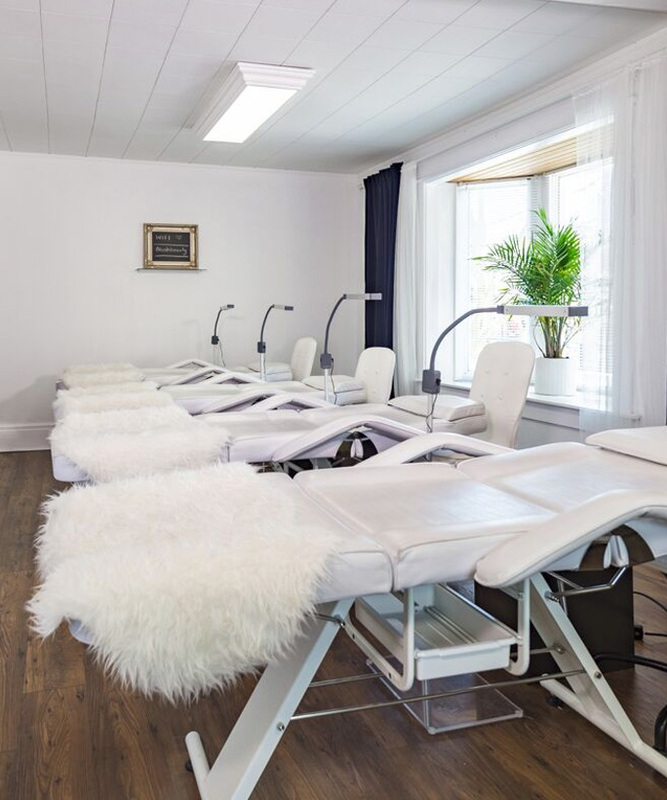 Need more information on Microblading? Book a FREE consultation and learn more! Free touch up appointment included in your first appointment. **If you need an appointment for Microblading outside of our hours, text or call 905-999-7852** INCLUDES TOUCH UP. A less invasive form of permanent makeup. This method is ideal for anyone wanting to enhance the look of their eyebrows. The results are the most natural looking hair-like strokes, regardless of the amount of hair present. The pigments used in this method have been formulated to match your original eyebrow colour, and if the eyebrows are still present, blend perfectly into them. This method replicates exact brow like hair more so than a feathering technique used with a machine. This is a manual method, lasting up to 1-3 years. Ideal for all skin tones. This touch up must be 12-14 months after the initial microblading occurred. All prices are subject to 13% HST. Adds definition to your bottom lashes to create the illusion of thicker, darker, and full lashes without looking like you are wearing makeup. Need more information on Permanent Lip Colour or Eyeliner? Book a FREE consultation and learn more! Free touch up appointment included in your first appointment. Adds definition to your top and bottom lashes to create the illusion of thicker, darker, and full lashes without looking like you are wearing makeup. Adds definition to your top lashes to create the illusion of thicker, darker, and full lashes without looking like you are wearing make up. Lip liner with a bit of shading towards the centre to create a subtle natural lip enhancement. Full permanent lip colour. Creates a bolder looking lip with many pigments to choose from. Lip shape can slightly be altered and enhanced.